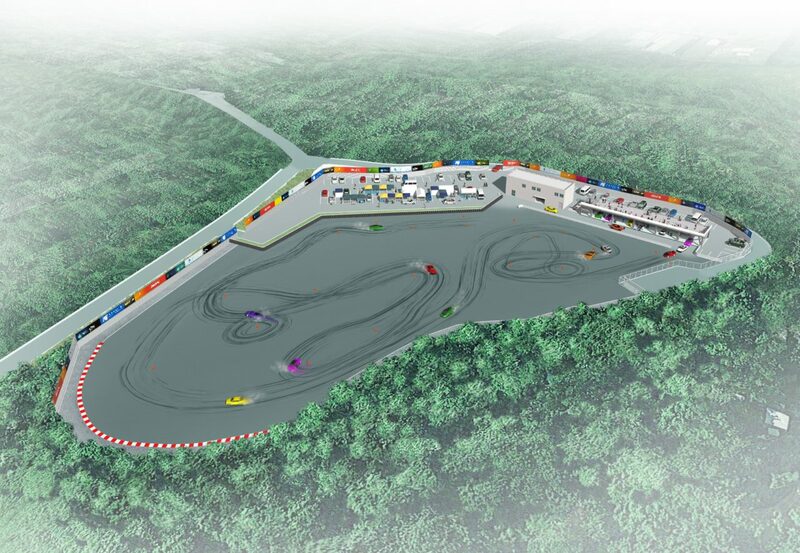 Here in Okinawa City, we are doing a promotion for long term tourism and creating employment through Motor Sports, in order to do so we are preparing “(Provisional Name) Okinawa Circuit”. 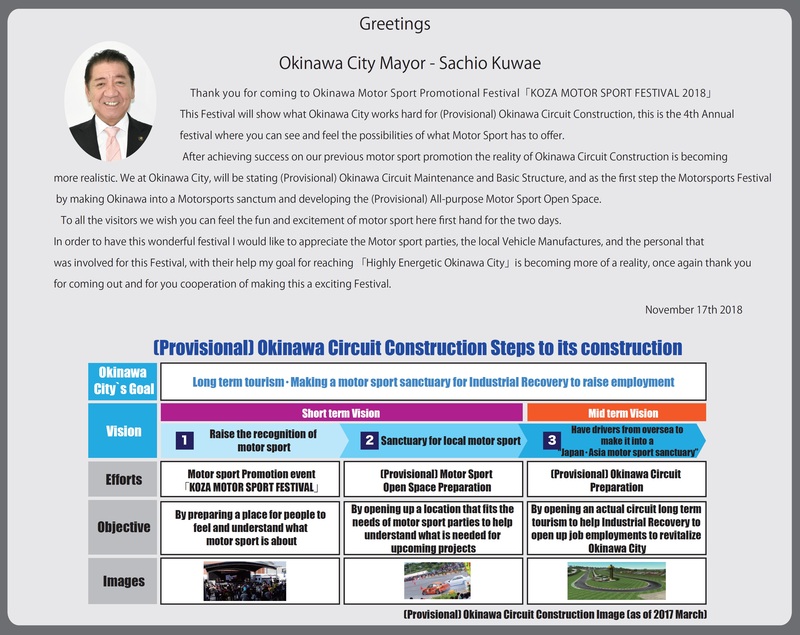 For our City to proceed on making the circuit “(Provisional Name) Okinawa Circuit” we believe it is important for City and Prefectural personel to understand what Motor Sports is by providing an opportunity to experience it first hand. 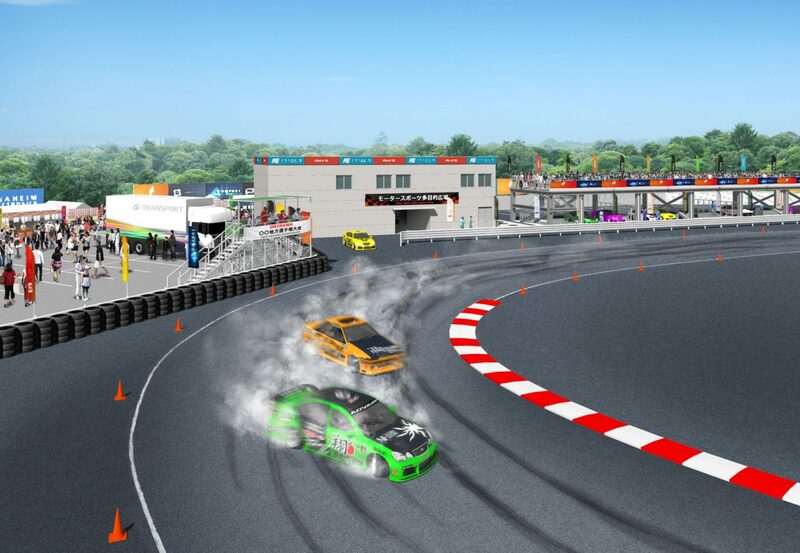 Therefore the in 2015, the city started hosting the “KOZA MOTOR SPORT FESTIVAL” in order to have more people acknowledge motor sports and by doing so, we are able to show what motor sports is and have people experience what motor sports is all about. This way people can see and understand what “(Provisional Name) Okinawa City Motor Sport Multi Purpose Field” is needed for.